Your Kitchen is So Boring? Try These 6 Kitchen Decor Ideas to Make Your Kitchen Stands Out! 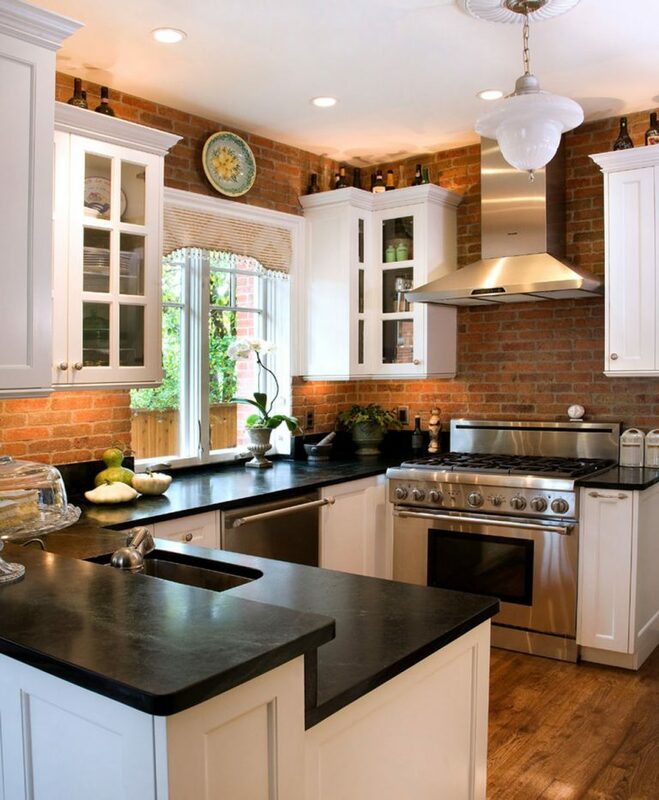 What do you think you have to do with your kitchen? Do you think it is enough for you just to put some plates and frying pan there? Why do not you think about some kitchen decor ideas that can make your kitchen turns lively and boost your mood while cooking? Plants never fail to make you relieved. And if you are tight on budget and do not have too much time to change your kitchen in one night, then this idea suits you at its best. To you who loves minimalism and monochromatic colors, you do not have to put colorful flowers. 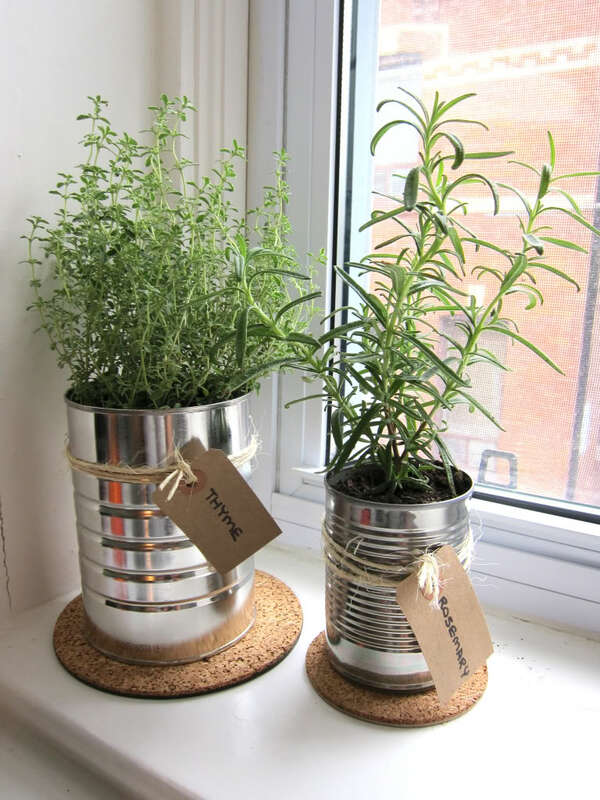 You can choose ferns, which is more neutral, and put it in some cans so that you do not have to spend more on buying expensive pot. Even though it is just a small touch, it will give the big impact in changing your kitchen into something new. 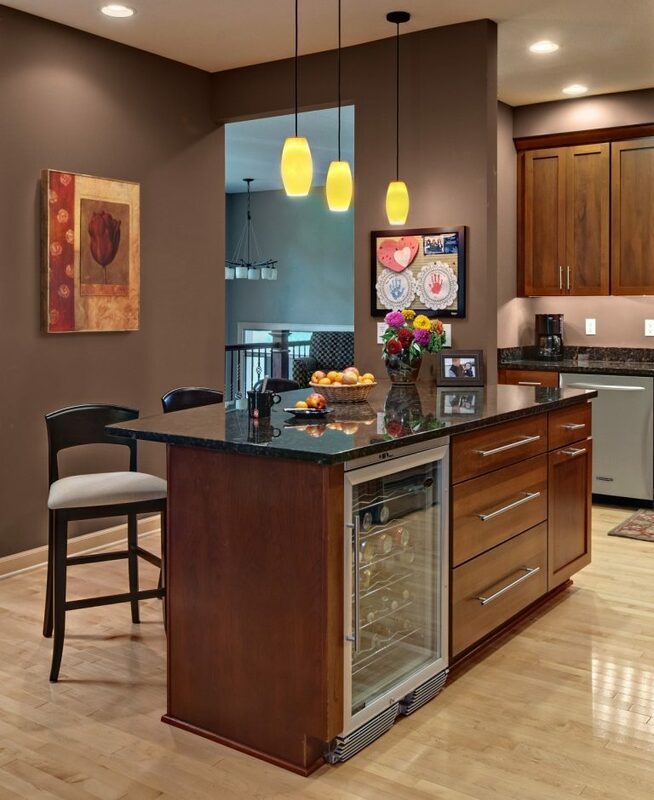 Not only your private room, you can put some magnificent paintings to turn your kitchen into more-artsy space. 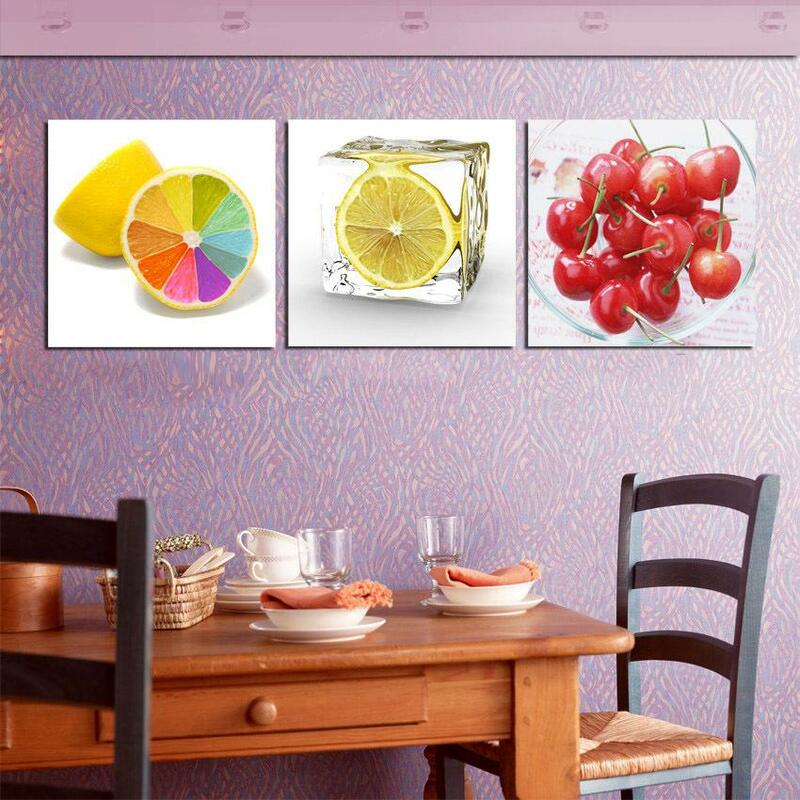 Since it is a kitchen, fresh-food painting such as lemonade or tomato is a good choice and will boost your appetite. A calm color like purple is a good combination of this kitchen decoration. As you can see in the picture, the wall is covered with lavender wallpaper with a smooth motive to balance the paintings. For the table and chair, honey and black woods are the best choices since it can make a mild ambiance. If you love to gather up with your best friends, but you want to make it more private, why don’t you put the bar seating in your kitchen? You and your friends can sit there while having some meals and chit-chatting. If you are run out of meals, you don’t have to buy, just cook meals again and again. To be suited the modern life, hexagonal-geometric chair, and hexagonal motives on the kitchen island is the best choice. Not only intimacy, you can sense a dynamic nuance in this kitchen. You can also do some work meeting there since the ambiance will support you at its best. You can see the 18th influence in this kitchen. Both the kitchen island and the kitchen cabinet use the minimalist touch with its rectangle shape and sharp corners and come in white color. While the window is a combination of rectangles and half-round, give you a lavish look just like a grand room of 18th century with a rococo concept. Rustic never dies. Rustic is a theme that every person will easy to fall in love with. 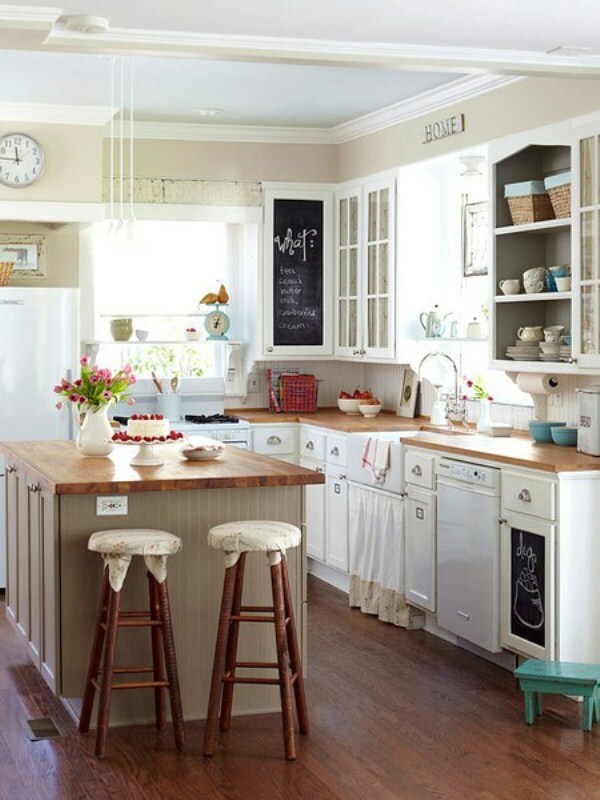 Moreover, the rustic decoration is easy to get and to be applied to every corner in your house, including your kitchen. 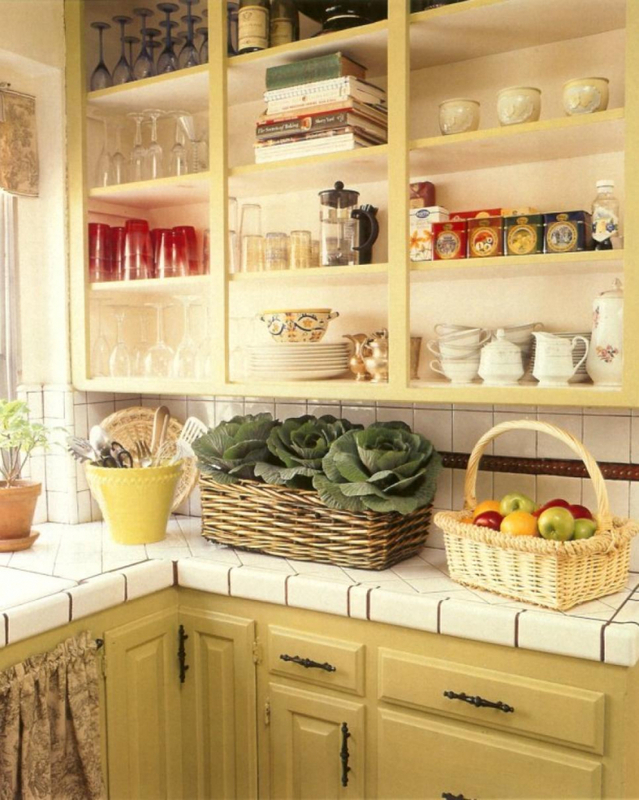 You just have to add regular-white ceramics to your kitchen backsplash and the countertops, pick honeycomb wood cabinet and shelf and put the fruits and vegetables in the wattle basket to accentuate the rustic look. 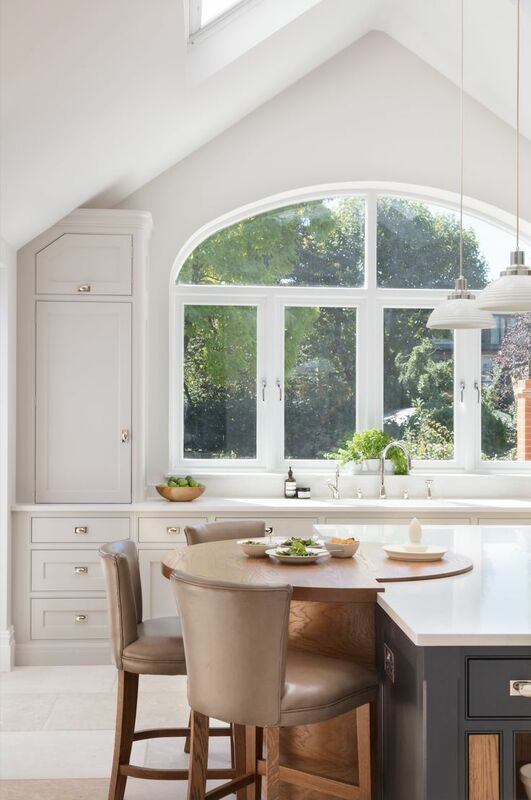 To give a more spacious look, use big windows in your kitchen that can deliver so much natural light from outside. For the lamp preference, dim-light is not recommended since it will make your kitchen seems dirty and make you exhausted. So, for rustic theme preference, always give a large amount of light, either natural or the artificial one. To well-represent the funky soul, retro is the best way. Retro is so playful that will boost your mood every day and get you ready to face this world with fire soul. 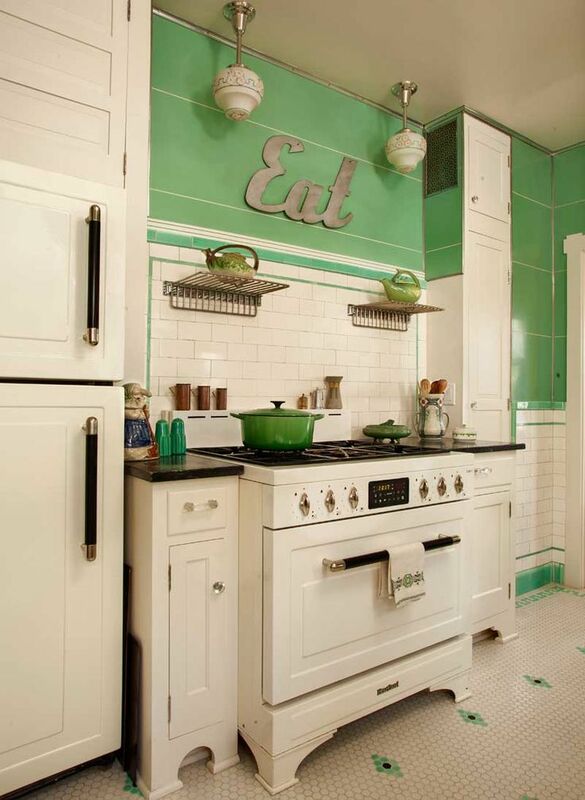 Since you have to start your day with eating, why don’t you give the retro touch to your kitchen? To give a cheerful ambiance, you do not have to put too many colors on it. You just have to put some vintage things and furniture, and the combination of white and another delightful color such as green. 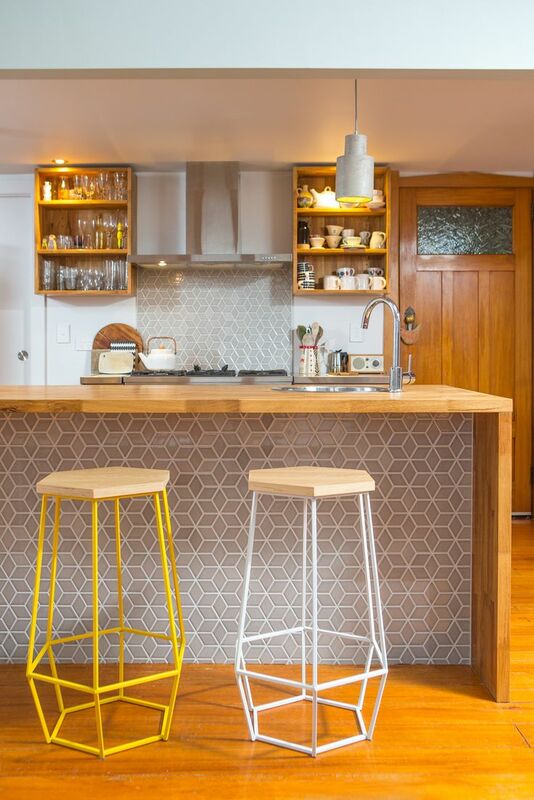 The bee-hive hexagonal pattern is used for the floor to make your retro kitchen more lighthearted. The small thing can change everything, including these wonderful but simple kitchen décor ideas. And don’t forget to organize and clean every corner of your kitchen regularly so that your kitchen will always be amazing and look magnificent all the time.